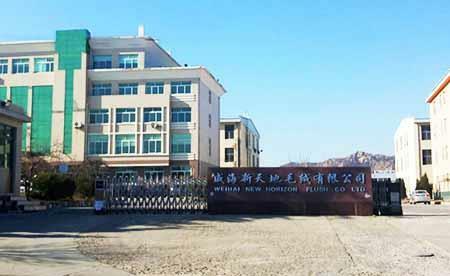 Weihai New Horizon Plush Toys CO., LTD (short for new horizon plush toys), had been established in 2003. Our factory is located in Weihai city, Shandong province (covers an area of more than 60800㎡), Our company has become a professional OEM customization and a top supplier in the plush toys industry. The main OEM business scope has: all kinds of stuffed toys\ electronic products\ computer embroidery \silk printing\trademarks and some other processing services. We have advanced machine, skilled workers, professional managers and designers among them have more than 10 years working experience. Now we have obtained the rights of import and export operation and inspection, passed EN71,ASTM-F963,GB6675,Sedex and some other audits standards. A type of uneven short pile material has recently been developed, of which life-like frogs, marine animals and wildlife toys are made and highly acclaimed by consumers worldwide.